Sunday December 7th, 2014 at Phoenix Games East Bay, CA. Kickoff is scheduled for 11:00 PST. It will be completely based off of the 2014 NFL schedule including the playoffs. That means there is room for 32 players, no more, no less. The format is head to head casual flow. It will be first come first serve basis with the only way of ensuring a spot is by pre-registering. 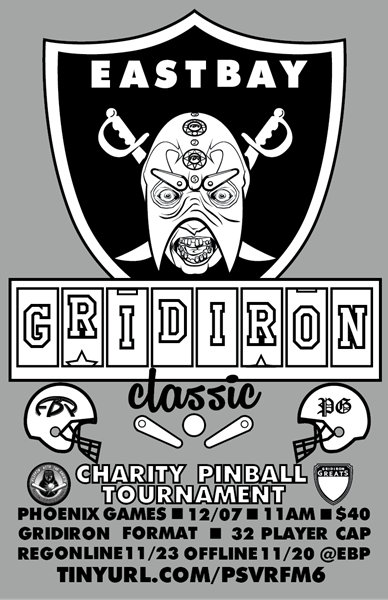 The entry will be $40 The entry fee covers the mandatory $30 per player charity donation and allows $10 to go to the prize pool. All players will receive HOF football medallions. To register you can either sign up at Phoenix Games, with Aaron Nelson, or you can send a donation through paypay to steele1927@yahoo.com and I will send you a confirmation email once I receive it. If you know how the NFL season and playoffs work then you know how this works. Players will be randomly assigned an ‘NFL team’. There are 2 conferences, within each conference there are 4 divisions and each division has 4 teams. That makes 32 teams hence the 32 players. Each player will play their division foes 2x (home and away, 6 games), they will also play 4 against one entire division within their conference and 1 each against a team from the other 2 divisions (6 more games) the remaining 4 games will be played against one entire division from the other conference (4 more games) totaling 16 games/rounds. Each team will have 8 home games and 8 away games. A home game means you get to choose the game. So there will be 16 rounds of 1 on 1 play. The home team will choose the machine and a coin flip will determine order of play. You will either get a 1 if you win, or a 0 if you lose. At the end of all the rounds your total record will determine your playoff fate. 12 players make the playoffs. 4 divisional winners from each conference and 2 wild cards from each conference. Wild cards are awarded to the 2 players within a conference with the best record that did not win their division. The top two records in each conference get a bye. Playoffs will be best 2 of 3 with the higher seed getting home field position in 2 of the 3 games. We will go over this more at the event or if you have questions feel free to ask. This event is a part of the Flippin With The Greats Fundraiser Campaign to benefit Mike Ditka’s Gridiron Greats Assistance Fund (GGAF). 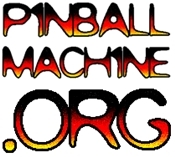 The winner of this event will also be invited to compete in the Grand Final in Las Vegas for a chance at a NIB machine, prizes, and WPPR points. There will also be a side event for $5 and the format is still to be determined.